Fast and accurate solution to my problem . very stable, easy to use. Great plugin and great (!!!) support. Had some issues but everything is working 100% now. P.S. 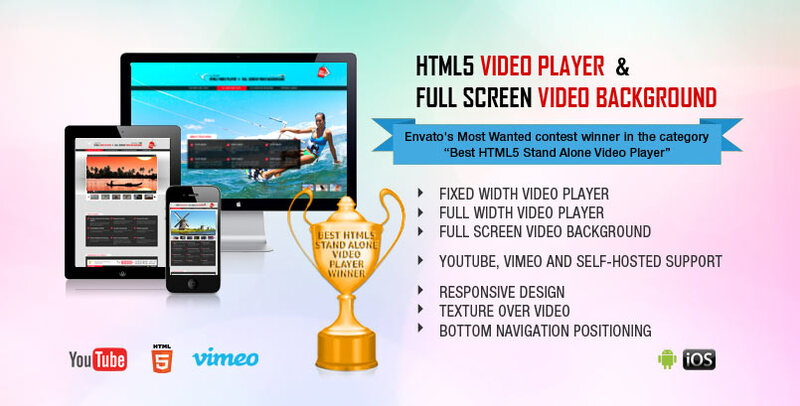 HTML5 Video Player & Full Screen Video Background is included in HTML5 Video Players Uber Bundle along with other awesome video players: Universal WordPress Video Player, HTML5 Video Player with Playlist & Multiple Skins and HTML5 Video Player with Multiple Skins. You can make the acquisition with 50% discount!